My fridge is full of berries and I love it! After dinner I was craving something sweet, but healthy too. thought they looked so yummy so I made my own version. 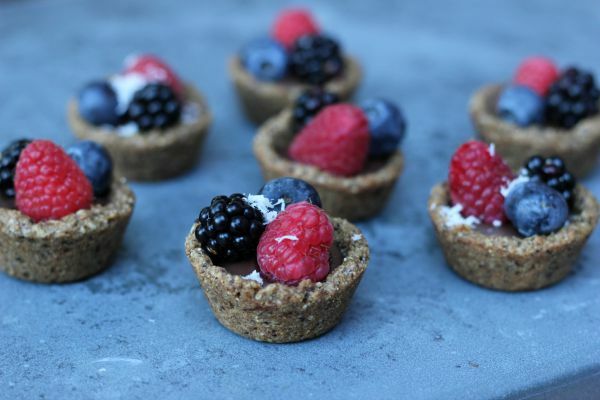 Mini granola chocolate fruit tarts. summer, but I did have Purely Elizabeth granola, so I improvised. and they are so easy to use. I love them! 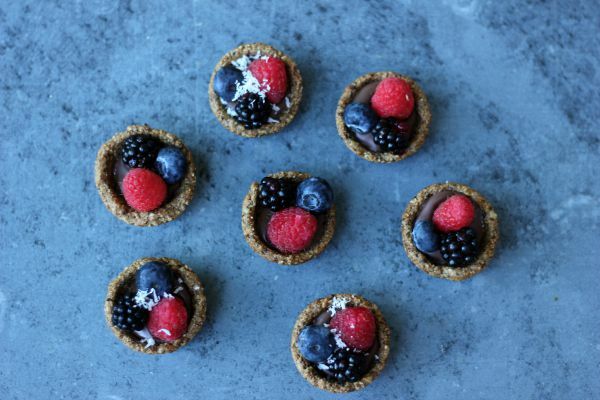 Bite sized chocolate fruity goodness. And pretty healthy too for dessert. Preheat oven to 325 degrees. Spray mini muffin pan lightly with cooking spray. Using a food processor or Magic Bullet, pulse granola until finely ground. In a small mixing bowl combine granola, butter and egg white. 1 1/2 tsp.). Press down with a tart shaper. 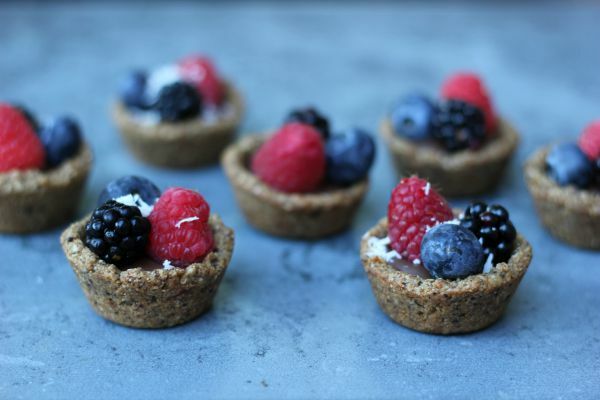 Bake for 8 minutes or until tarts are lightly browned and set. Cool in pan for 10 minutes before removing from pan. Melt dark chocolate in a microwave per package instructions. 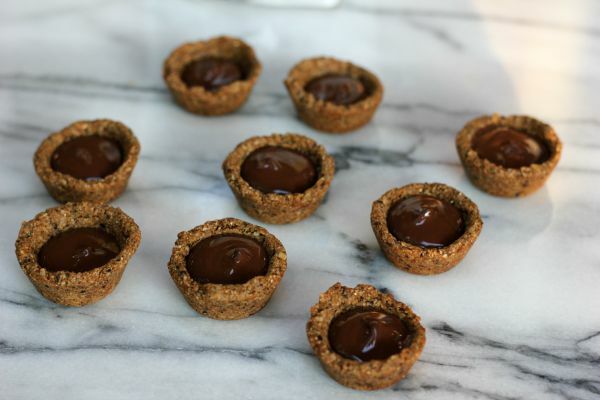 Spoon chocolate into cooled granola cups. 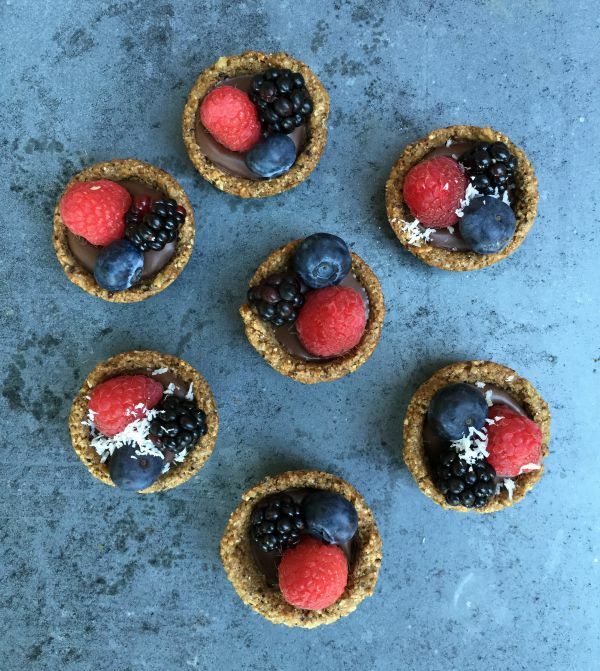 Add fresh berries and garnish with shredded coconut if desired.